Early literacy storytime featuring books, music, and rhymes for children ages 3-6, accompanied by an adult. January 7th is National Bird Day! Learn about some of the birds that are native to Virginia. Have fun with birds arts and crafts! January 14th – Learn about Dr. Martin Luther King Jr.
January 21st – Animals everywhere! Come in and listen to fairy tales about animals. Crafternoons! New! Children ages 6 and up are invited to drop in and make a craft of their choice to take home. Children under 10 should attend with an adult who can assist them. Teen Advisory Group – New! Calling all teens! Are you interested in making a difference in your community? 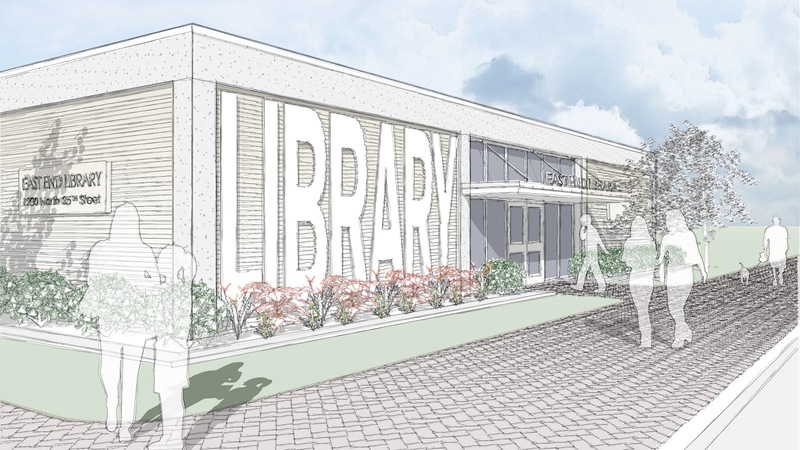 Have ideas for programs or activities you’d like to see at the East End Branch? Want to help your library and earn service hours? This is the group for you! Join us for a family-friendly movie one Friday afternoon per month. Movie will be rated G or PG and run for approximately 90 minutes. Monday, January 26th 10:00 A.M. – 3:00 P.M.
Can’t get to DMV? The DMV mobile van is coming to the East End Library and bringing all of the DMV services to you! Call 646-4474 for more information. Women Empowerment Support Group (GEMS) – Are you looking for a support group where you can network and engage in insightful conversation amongst a variety of women? Well, look no further! Come join Requel Mckeever in her new Women Empowerment support group, The GEMS. We will have discussions focusing on parenting, child development, education, health and wellness, nutrition, entrepreneurship, time management, money management, job readiness, career building and a range of interesting topics. The mission is to empower and inspire each other as we journey through womanhood. Every woman is a GEM. Call the Library at 646-4474 to register.